The UK's theatres are starting a new term with some huge openings, and we're taking notes. Here's what to see. 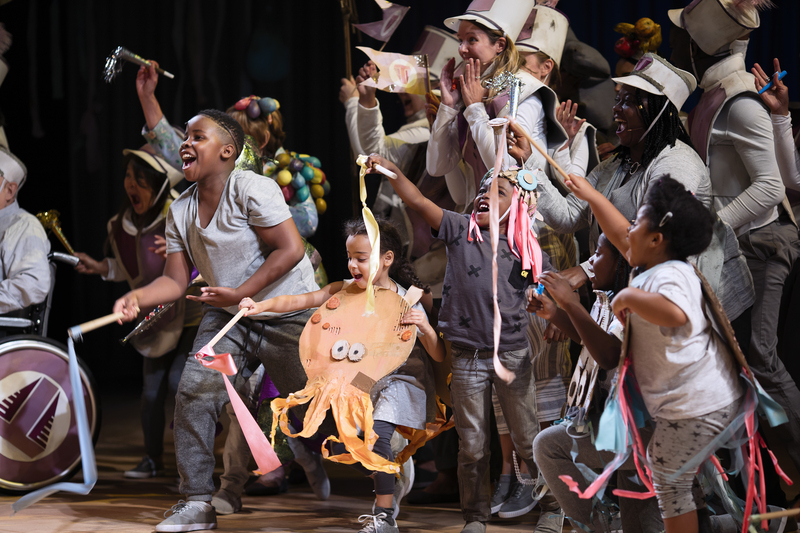 Late August, typically a bit of a graveyard time for London’s theatres, has been lit up by two ambitious, expansive, big-hearted shows: Emilia at Shakespeare’s Globe, and Pericles at the National Theatre. Hopefully at least one of them will be back. But for now, there’s another invigorating injection of new ideas over at The Yard, courtesy of Live Drafts. Playwrights, young companies and live artists are all presenting early stage work, and tickets are only £5 (£7.50 for two). Vinay Patel’s An Adventure is coming to Bush Theatre, and it sounds thrilling: taking in post-Partition India, Kenya, and 1970s London, in a story of love and upheaval. Losing Venice, on at the Orange Tree, is Jo Clifford’s look at a country that’s losing its empire and harbouring delusions about its place in the world, set in the Spanish Golden Age. And Sylvia at the Old Vic also reimagines history: it’s definitely not the only hip-hop suffragette show in the works (we can blame Hamilton for that) but it’s definitely the highest profile, with a book by Kate Prince and Priya Parmar, and ZooNation’s signature dance storytelling style. Exeunt has lodged quite a few complaints about the American-family-round-a-dinner-table play, but please excuse the hypocrisy of us recommending Stephen Karam’s The Humans: it comes to London with its original cast intact, and by all accounts it’s an outstanding example of the genre. Still more excitingly – Dance Nation at Almeida Theatre looks incredible. It’s the story of a pre-teen dance squad that’s much darker and so much weirder than that sounds. Also in US-theatre-in-London news, there’s a chance to see Bill Russell and Janet Hood’s musical Unexpected Joy – a female-led show by the team behind Elegies for Angels, Punks and Raging Queens. Heathers – The Musical is finally coming to the West End, having cloaked itself in a hairspray-like fug of social media hype (did you hear, Carrie Hope Fletcher’s in it!). Under Daniel Kramer’s leadership, the ENO’s been visiting some of London’s smaller, most atmospheric spaces and the results so far have been magical: for a gentler musical experience, make for Paul Bunyan at Wilton’s Music Hall, a venue that’s an ideal way to hear this rarely-staged Benjamin Britten opera. Bullish, Camden People’s Theatre. Photo: Ben Millar Cole. Camden People’s Theatre is taking a mini-festival of LGBTQIA+ theatre on tour around the UK, in a wonderful, expansive scheme that’ll bring a dose of queer energy to Wakefield, Derby, Peterborough, Exeter and Poole. The fest will start touring at the end of the month, but for now there’s a chance to see its headliner Bullish in Southampton: it explores transformation and masculinity through the lens of a Greek myth. On a beach in Tenby, National Theatre of Wales’ Tide Whisperer will use poetry and immersive sound to explore ideas of mass migration, in a work by poet and playwright Louise Wallwein. It’s also being filmed for live broadcast at Dorset’s b-side festival – more info on the film-focused multi-arts festival here. Collabs between restaurants and theatre folk are often dicey: tepid nibbles and ace theatre? Delicious food but next-to-no show? You really take your chances. But nonetheless, Gastronomic looks like it might just live up to its billing. 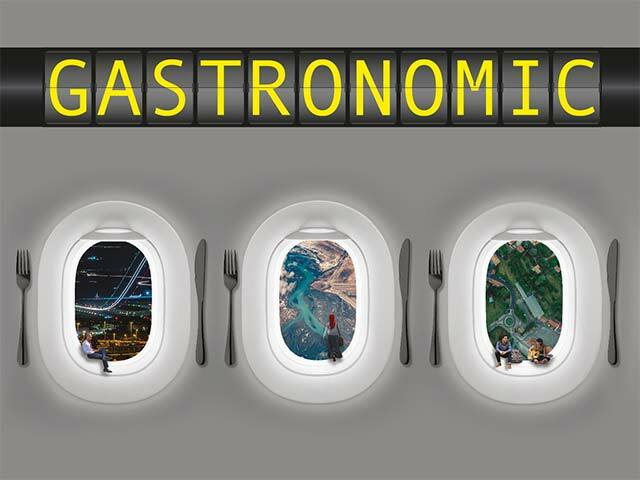 Curious Directive have created a show set in 2021, on a plane, where ‘international sky chefs’ (totally a thing) are serving up a five-course menu in an augumented reality experience, miles above ground. Mixing architecture and performance art, free weekend festival In Your Way is taking over Cambridge. Very quietly. 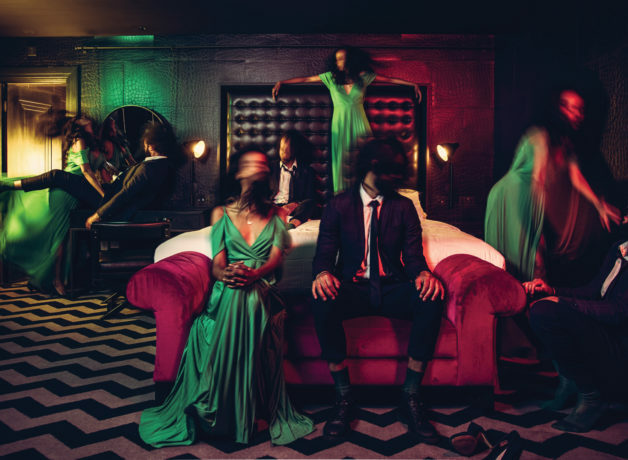 It’s made up of five non-text-based, site-responsive performance works – including River Cam-inspired Flow, and Rhiannon Armstrong’s Can I Help You, billed as “the performance art version of Handy Andy”. Co-produced with Lyric Hammersmith, othellomacbeth looks pretty enticing: Jude Christian directs a 90 minute splice of two Shakespeare plays. Hot on the heels of London’s Emilia, Queen Margaret offers a contrasting slice of feminist revisionist history. Jade Anouka stars as a queen trying to hold her court together as the Wars of the Roses rumble on, in a play that Jeanie O’Hare has crafted from Shakespeare’s words. 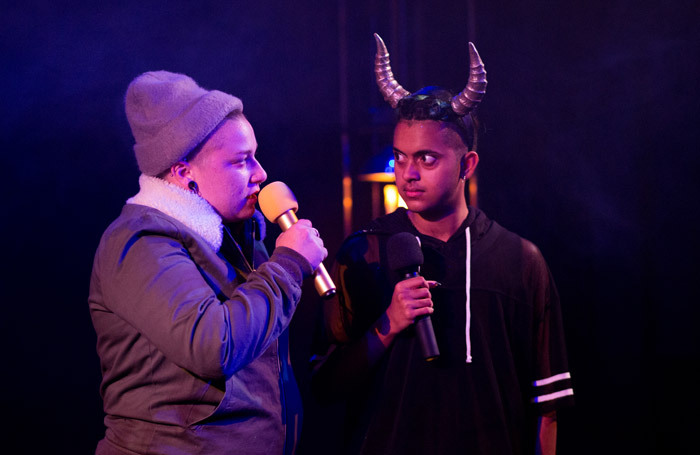 And if you don’t want to see Shakespeare’s work in any form, however chopped-and-changed, then head to the Lowry, where Paines Plough will be staging some excellent new writing: Simon Longman’s Island Town and Vinay Patel’s Sticks and Stones. Well, this looks like a treat. Scotland’s theatrical big guns (aka Citizens Theatre, Royal Lyceum and NTS) are coming together to stage the big-hearted (and conked) romance Cyrano de Bergerac in a new Scots translation by Edwin Morgan. Oh, and there are costumes by Pam Hogg. Be still my beating heart. Exeunt Recommends is a fortnightly series highlighting the shows and festivals our writers are excited about: we try to make it UK-wide, but the range of areas featured is subject to what’s on. For more tips, browse through our recent reviews.